The movie is only now 4 days away from the release date of ‘Beautiful Creatures’ and everyone involved is doing their part to promote the movie. Of course, the two actors playing the lead couple in it have obviously been all over the states doing what they can do, answering questions, and even though us fans have probably heard a lot of this already, we can’t help but read more, even just for that tidbit of information we didn’t get the first, second, or third time around. So, here we have Alice Englert and Alden Ehrenreich in Boston discussing everything from how they originally didn’t want the role, working with award-winning actors, and what they hope viewers can get out of the movie. 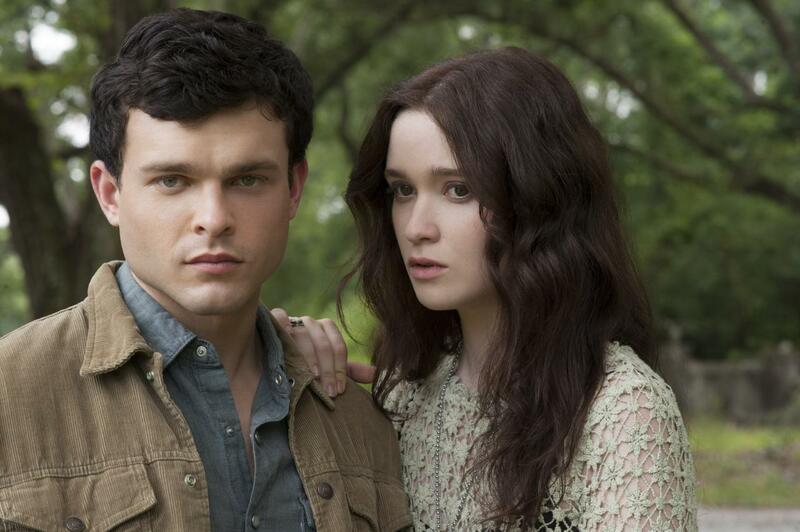 “Beautiful Creatures” – adapted and directed by Oscar nominee Richard LaGravenese (“The Fisher King,” “P.S. I Love You”) – is the first big studio film for the young leads. And, both didn’t jump at the chance to star as the teen lovers Lena and Ethan. Ehrenreich got the part only a week before filming began in New Orleans, a last-minute replacement for Jack O’Connell (“Skins”). EHRENREICH: I never even auditioned to begin with for the role. ENGLERT: Both of us said “no.” I think I said “no” twice because I didn’t read the script. EHRENREICH: Yeah, me neither. And then once I read the script, it was pitched as sort of a rip-off of other ‘Twilight’ movies. ENGLERT: Yeah, we got the same brief (press release) that the media got. EHRENREICH: Exactly. So once we read the script and once I met with Richard, he said he was interested in making a genre film, but one with wit, humor and intelligence. And with maybe a little bit more sophistication. Ehrenreich, Englert and other cast members, have made a big promotional push for the film, stopping in Boston, New York, Minneapolis, San Francisco, Washington, New Orleans, the United Kingdom and Russia. Both have seen the film with an audience. EHRENREICH: I saw it in Russia with a Russian audience with Russian dubbing of my voice. That was my favorite experience of watching it so far. The Russians really seem to like it. ENGLERT: I saw it at Warner Bros. Studios at a screening. People were really responding to it. People really like the humor in it, and you don’t really get that in the trailer. That’s what attracted me to the film in the first place. It was ‘All right, we’re making a supernatural film with good and evil,’ but that it was playful, too. … I just promoted a film (“In Fear,” which premiered at Sundance). That was great. I loved doing that, but this is just insane, doing a big thing like this. EHRENREICH: To me, the greatest testament to (Director) Richard’s mission and what he wanted to do with the movie is that he was able to attract people of that pedigree. 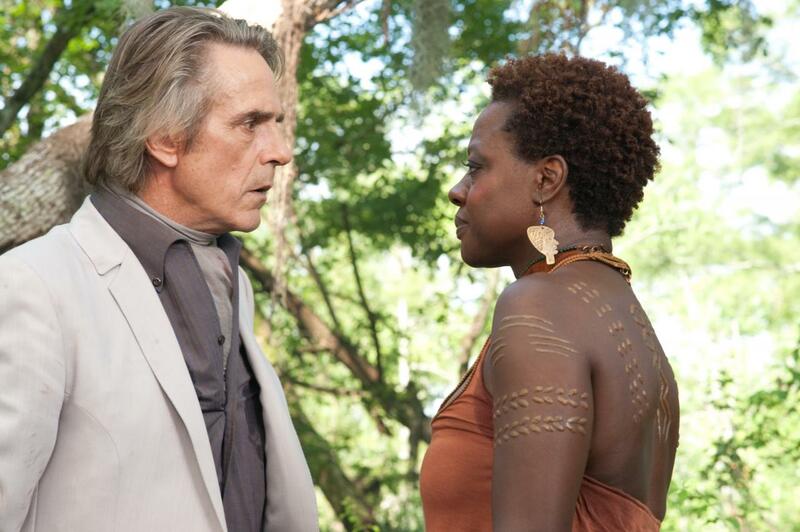 ENGLERT: (Laughing) Yeah, I’m so attracted to Jeremy Irons. You know, how creepy am I? EHRENREICH: We’d go watch the monitor when they’d be doing scenes together because it was like free acting class. I feel like the most we learned was seeing how they worked. ENGLERT: I think that you’re constantly learning. It’s just so cool to be able to work like that. I’ve had a little luck with that. Adapting best-selling young adult novels to films has meant box office gold for franchises such as “Twilight,” “Harry Potter” and the more recent “Hunger Games.” Each became a pop culture phenomenon and boasted cross-generational appeal. “Beautiful Creatures” comes to the screen with its own built-in audience of Castor [sic]boys and girls who are poised to make the film the next big thing. EHRENREICH: I hope people respond to it with passion but not just fan passion for the sake of fandom, but because it strikes something in them on an emotional level and gives them solace … The reason I did the film was because there were things in the script that spoke to a very human experience, even though it’s about this supernatural thing. I think the movie transitions into what it means to be a human being. And to me, that was moving. ENGLERT: For me, it’s already over and I’ve seen it. As long as I can keep working and keep acting, all I really care about is having my mom (Jane Campion), my dad (producer and director Colin Englert) and my godmother see it. People can enjoy it or not enjoy it. I’d love them to enjoy it, though. There are four “Beautiful Creatures” books. Each became a best-seller. Ehrenreich and Englert both read the leadoff book on which the film is based. A second film depends on the success of the first. As we discuss the possibility of sequels, it becomes clear that none of us are clued into what happens in the other books. EHRENREICH: (Laughing) I don’t think Richard does, either.